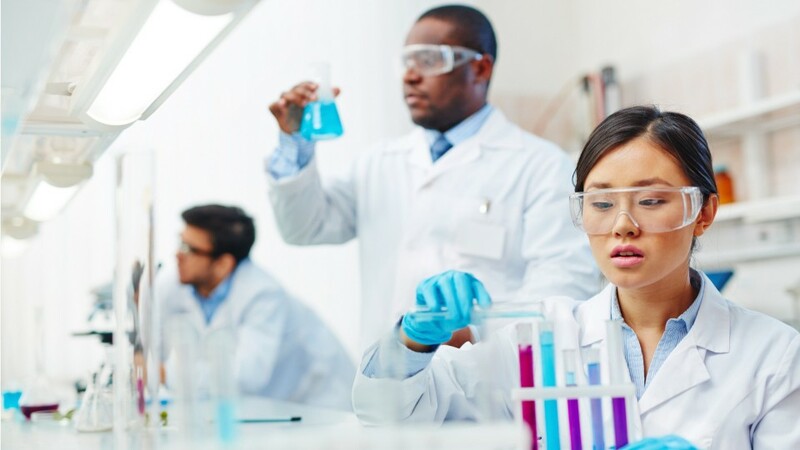 The chemical engineer, wearing trademark white lab coat and goggles, pouring strange liquids from beaker to flask, is an image straight out of science fiction. However, the reality is that chemical engineers are an essential part of 21st century manufacturing-designing processes for the production and use of chemicals, fuels, food, drugs, and more. The ultimate tinkerers, these engineers continually conduct research to develop new ways to separate components of liquids and gases, or to generate electrical currents using chemistry. They must use not only their science and math skills, but also creative problem-solving and troubleshooting, especially when designs don't work the first time. Chemical engineers design equipment to produce everything from tires to asphalt. Their teammates are the technicians and mechanics who put designs into practice. They work in offices and labs at industrial plants, and at coal or oil refineries to oversee operations. Some engineers travel extensively to oversee their designs onsite; improving safety, productivity, and arranging manufacturing operations. These engineers must have a bachelor's degree in chemical engineering. Employers value graduates with practical experience, such as internships and cooperative engineering programs. A Professional Engineering license may increase advancement possibilities. A graduate degree is needed for teaching or to lead research and development. Monitor and analyze data from processes and experiments. See more details at O*NET OnLine about chemical engineers. Chemical Engineers by U.S. Department of Labor, Employment and Training Administration is licensed under a Creative Commons Attribution 4.0 International License.